Tips from Locals; Welcome to Santa Cruz, Ca. 1. Don’t litter, you are putting your safety on the line. 2. Really don’t litter, we will find you. 3. Be in the mood for great Tacos, Nachos and possibly the best pizza on the West Coast. 4. If you are new to surfing go to Capitola where the locals won’t notice your novice attempts. 5. The West side is very different from the East Side, but we all still want to tear the stupid looking wing off the back of your car. 6. Locals don’t go to the Boardwalk unless they have to, so if you are talking to a local it’s probably not a good idea to tell them how much you love the Beach Flats. 7. Take a walk down town, and if you drive Pacific Avenue accept your fate and be prepared to spend half an hour yielding to pedestrians. 8. Check out the edges of Downtown for gems like Squid Row and Mobo Sushi. 9. If the weather is nice (which it probably is) the Flea Market on Soquel Dr is worth an hour of walking if you are a bargain hunter. 10. After you visit the Flea Market you can continue down Soquel Dr to find a fantastic strip of antique stores in the Soquel Village. Click the Facebook share button at the top of the page to share and comment with your friends. 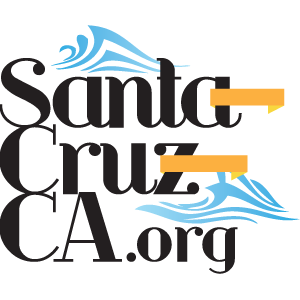 You can also comment on any of the blog posts on the main page at The Local Guide to Santa Cruz.